Those were the words of Republic of Ireland assistant manager and legendary Manchester United midfielder Roy Keane following Kevin Doyle’s retirement from football. The 34-year-old had been named in the Ireland squad for their last two World Cup qualifying group games, but cut his career short due to ongoing concussion and headache problems. Doyle hung up his boots, preparing for the next stage of his life now that medical advice has warned him to give up playing football. Keane continued on with his life, preparing for the Boys in Green’s games against Moldova and Wales. A week after he made those comments, it seemed that Keane and Ireland manager Martin O’Neill had learned nothing from Doyle’s forced retirement. Ireland recorded two wins, defeating Wales in Cardiff to reach the playoffs with the extremely physical match setting a record (58) for the most aerial duels contested in a single UEFA qualifier. 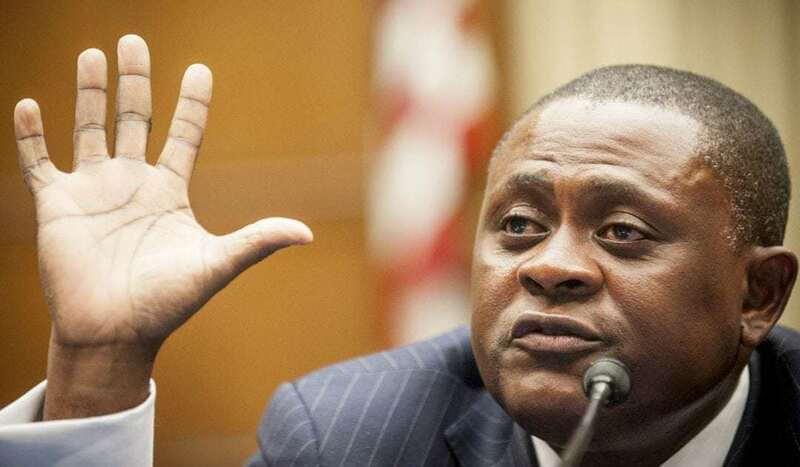 Dr Bennet Omalu was the first to diagnose chronic traumatic encephalopathy (CTE) in the brain of American football center Mike Webster in 2002, who suffered amnesia, dementia and depression before his death at age 50. The NFL has been accused of ignoring, rejecting and refuting Omalu’s research until the avalanche of evidence was overwhelming, and did not make any substantial concessions for player safety until 2007. “Keane’s claim is a very irresponsible statement to make,” Omalu told Goal. “If you notice the industries and corporations that are doing very well in today’s global economy are the information technology corporations. What is the denominator across these successful corporations? They are businesses that speak the truth, that elevate the truth, that provide human beings a platform to think and identify the truth. “So when I see industries that intentionally deny or reject the truth, it’s a very dangerous strategy. It’s a dangerous strategy that could undermine the long-term sustainability of that industry. The soccer industry should stop denying the truth. They should say: soccer is not a high impact, high contact sport, but you could suffer brain injury in sports. You need to be aware of that. You need to play safe, like removing heading from play. “We need to place the life of the player above the revenue streams. This boils down to money. It’s all about money. We should not place money above the value of life — even the life of one single player. The life of one single soccer player is worth more than the billions of dollars the soccer industry makes. Life should come first. I have never vouched for the ban of soccer. “We need to make soccer compatible with 21st century knowledge. The soccer industry should embrace the future and stop living in the past. If they fail to do that, soccer will not be as succesful as it is. People will develop healthier, more brain friendly types of sports. People may not want to believe that.